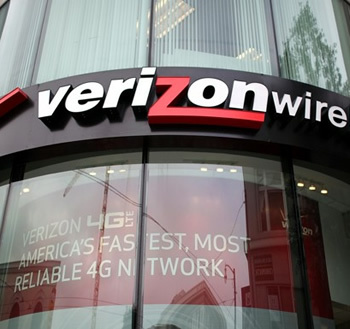 Verizon Wireless today announced its new Share Everything Plans that will allow customers to share a single pool of data, voice, and text messages across multiple devices. The new plans mark the biggest revamp in wireless pricing in years and will become available to everyone starting June 28. Share Everything plans include unlimited phone calls and texting, and will start at $90 per month for one smartphone ($40) and 1GB of data ($50). From there users can pay extra to increase the pool of wireless data they will use every month and the devices they add to the plan, up to a maximum of ten between smartphones, feature phones, laptops, USB data sticks, mobile hotspots, and tablets. Data options include 1GB for $50, 2GB for $60, 4GB for $70, 6GB for $80, 8GB for $90, and 10GB for $100 per month. Data overages will set you back $15 per 1GB, or if you need more than 10GB you can buy further 2GB increments for $10. Meanwhile, each smartphone on the account will be $40 per month, each basic phone will be $30, tablets will be $10, and other devices like netbooks, notebooks, or USB data sticks will be $20 per month. Data-only plans are also available starting at 4GB for $30, but only for laptops, tablets and mobile broadband devices, not smartphones. Full plan details are available on Verizon's website (PDF). Overall the new Share Everything plans will result in considerable savings for families who want multiple devices with a shared data pool, but individuals with minimum voice requirements will end up paying more. For example, two smartphones with unlimited voice, texting and 4GB of data currently cost $210 per month on a Family SharePlan versus $150 on a Share Everything plan. Conversely, a user paying $70 per month for 450 minutes and 2GB of data would have to pay $90 for unlimited calling and just 1GB when switching plans. Verizon’s new Share Everything plans will be the only option for customers going forward, unless you stick with your existing plan and buy new phones at the unsubsidized pricing. Limited-calling and texting plans will disappear, except for one $40-per-month plan intended for feature phones.